That morning cup of coffee is as vital to your existence as air, yet drinking the same cup of brown, bitter slop every morning can get mundane pretty darn quickly. Spice up your favorite drink by adding some of these strange, surprising ingredients to your morning cup of Joe. They’ll add a whole lot of flavor and, in some instances, make your morning caffeine fix a nutritious one as well. I told you some of these ingredients were going to be a little strange, didn’t I? While it may seem like a horrible idea, adding a dash of salt to your cup of coffee can help to soften the bitterness, meaning you don’t need to add as much sugar to make it acceptable to your tastebuds. You can either add the salt to your grounds before brewing or simply add a sprinkle to a freshly prepared cup. Play around with amounts — some people like salt more than others, so starting with just a pinch and working your way up to the optimal amount is the best strategy to ensure you don’t go throwing a cup of overly salty coffee straight down the drain. Also, go for high-quality salt. Varieties such as Himalayan rock salt and unrefined sea salt are the least refined and have the highest mineral content, making your coffee that much more nutritious. This is a personal favorite of mine, and I’ll confess to not even liking coffee until I started throwing a generous chunk of butter into every cup. 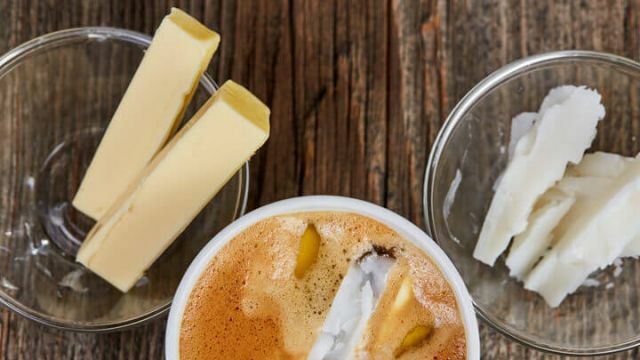 The modern-day popularity of adding butter instead of milk to one’s coffee arguably stems from Dave Asprey’s “Bulletproof Coffee,” which has become a worldwide phenomenon, especially among the Paleo community. Bulletproof Coffee earned its place in the coffee drinker’s hall of fame not only on account of it’s rich, delicious taste but also on the energy-boosting benefits, healthy fats and a wide range of nutrients that butter brings to the table. It’s important to note that many nutrients are difficult to break down and utilize by our digestive system unless they’re consumed along with a fat — just another reason why the high saturated fat content of butter makes it a winner in the coffee department. Try this easy recipe for making your own cup. Bulletproof Coffee earned its place in the coffee drinker’s hall of fame not only on account of it’s rich, delicious taste but also on the energy-boosting benefits, healthy fats and wide range of nutrients that butter brings to the table. It’s important to note that many nutrients are difficult to break down and utilize by our digestive system unless they’re consumed along with a fat — just another reason why the high saturated fat content of butter makes it a winner in the coffee department. Try this easy recipe for making your own cup. Brew your cup of coffee as you would normally (shade-grown, organic, fresh-ground coffee beans are best). Put coffee, butter, cinnamon and vanilla in your blender. Blend on high until frothy, about 30 seconds. That’s it! Pour the mixture straight back into the cup and drink immediately. Alternately, you can make this the night before, put it in the fridge and enjoy it in the morning as a delicious, on-the-go iced coffee. While I wouldn’t recommend adding ice cream and butter to your coffee, ice cream as a singular addition to your coffee makes for a wildly delicious hot drink. It may not be the ideal way to start every day, but putting a dollop of vanilla or chocolate ice cream into your coffee on a warm summer’s day or as a naughty after-dinner treat is any coffee aficionado’s idea of heaven. Besides, it does all the hard work for you — it’s sweet, meaning you don’t need to add sugar, it’s creamy, meaning you don’t need to add milk, and it instantly cools your coffee down to safe drinking temperature. Perfect! Cardamom has long been a favorite spicy additive to coffee in the Middle East, giving a delicious earthy zing to what would otherwise be a standard-issue cup of brown. Not only does cardamom pair brilliantly with the bitterness of coffee beans, it also has strong healing properties and helps to neutralize the stimulating effects of caffeine. I was first enlightened on the wondrous partnership between coffee and maca powder at a farmer’s market in Vancouver, Canada. The vendor made an amazing iced latte using fresh-ground organic coffee beans, maca powder, coconut milk and a dash of maple syrup for sweetness. The result was a fantastic, amazingly nutritious drink. 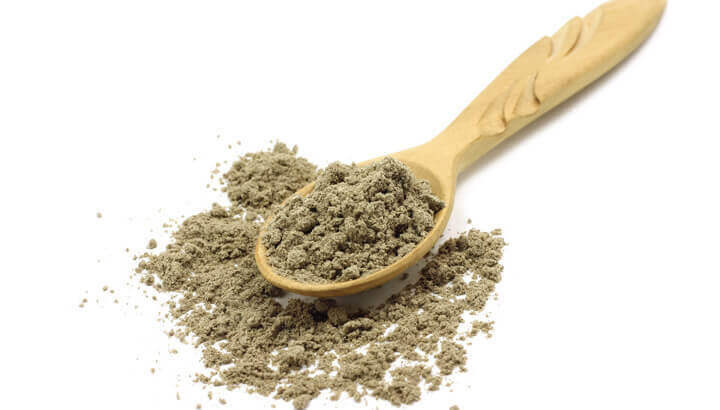 Hot or cold, maca adds an interesting taste and a whack load of vitamins, nutrients and antioxidants. Not a bad way to start the day! If you’ve got a bit of a sweet tooth, chances are you’re generous with the spoonfuls of sugar in your coffee. While it may make your coffee taste great, it’s also pretty darn bad for your health. 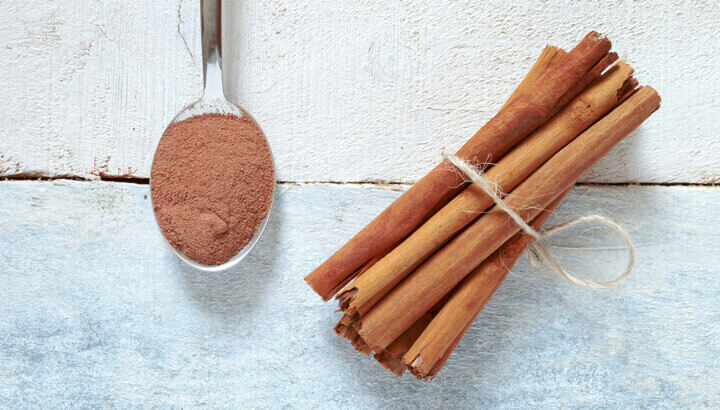 Cinnamon adds sweetness to your coffee without the calories, and, unlike sugar, is anti-inflammatory. What’s more, there’s just something about cinnamon that makes coffee that much more delicious, introducing a subtle richness which will have you immediately hooked. Got coffee left over from your last brew? Rather than pouring it down the sink, wait for it to cool then pour it into an ice tray. Next time you make an iced coffee, or simply want to bring your hot coffee down to drinking temperature quickly, throw a few of your coffee ice cubes into the mix. They’ll cool things down instantly while maintaining the strength of your coffee by not watering it down, like normal water-based ice cubes. Big on coffee? Find out which coffee is best, both for your health and your taste buds. Hey Buddy!, I found this information for you: "7 Strange Things That Actually Taste Great In Coffee". Here is the website link: https://www.thealternativedaily.com/7-strange-things-actually-taste-great-coffee/. Thank you.